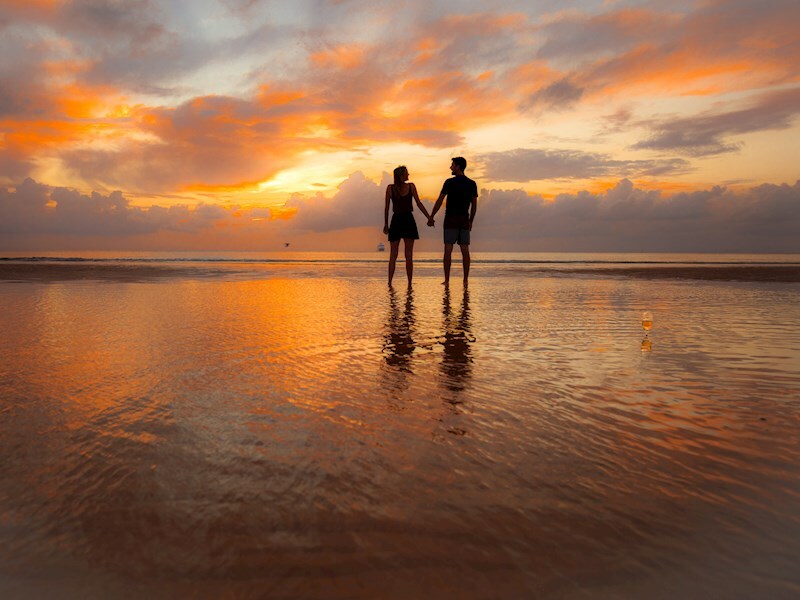 Are you looking for that perfect destination to treat your special someone with a romantic getaway? 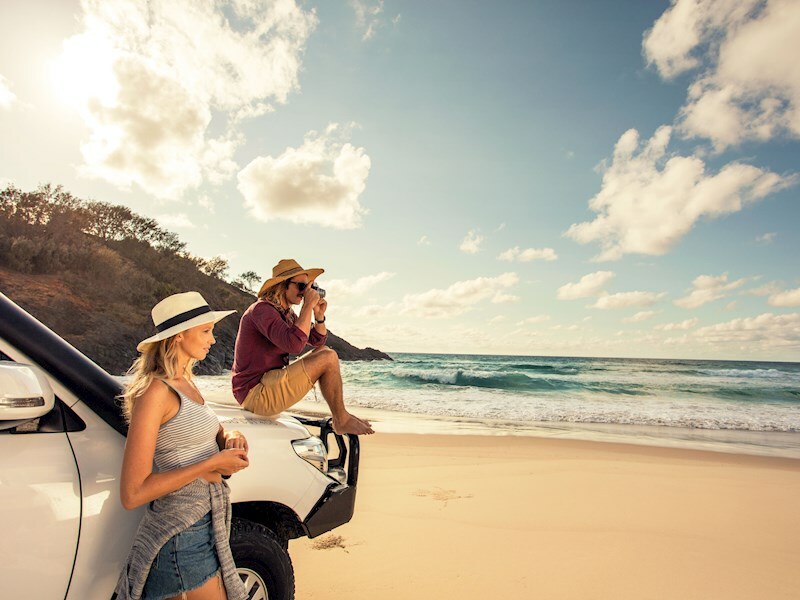 Indulge your other half with a Tangalooma Island Resort escape, a unique combination of relaxation and adventure. 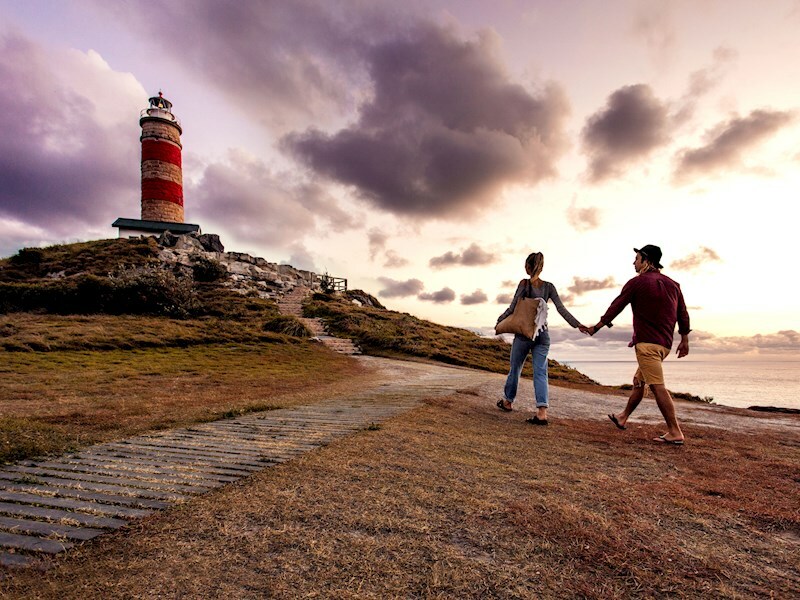 There are plenty of activities and packages available all year round that are perfect for couples just wanting that quick local getaway or special anniversary weekend away to rekindle and relax. Good things come in two's! This 2 night package rate includes welcome drinks and massage vouchers to use during your stay. While this package may be perfect for couples, you can also sleep up to 4 guests in these hotel rooms. *Upgrade to a Hotel Deluxe room for wine and chocolates on arrival, bathrobes and slippers and guaranteed ocean views. Things to do... for two! 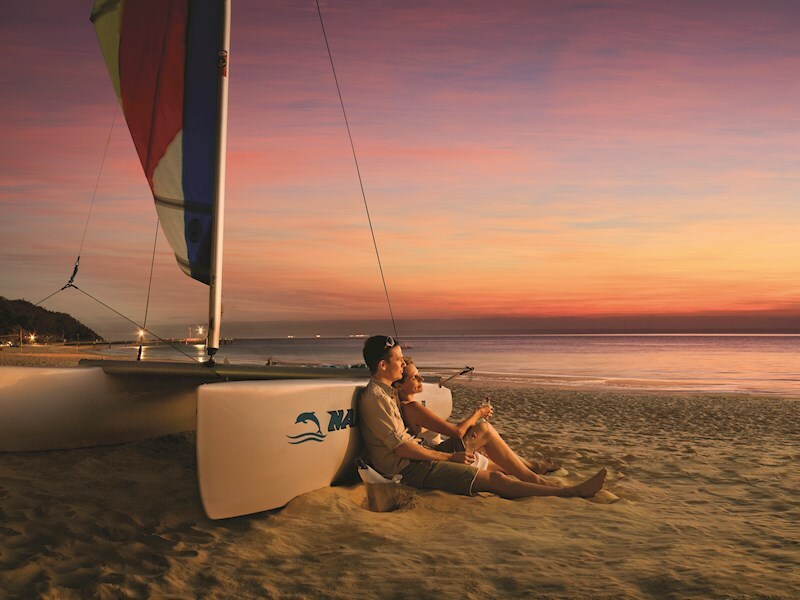 There are plenty of activities at Tangalooma Island Resort that are designed to bring you and your partner closer! Want your partner to hold you tight? 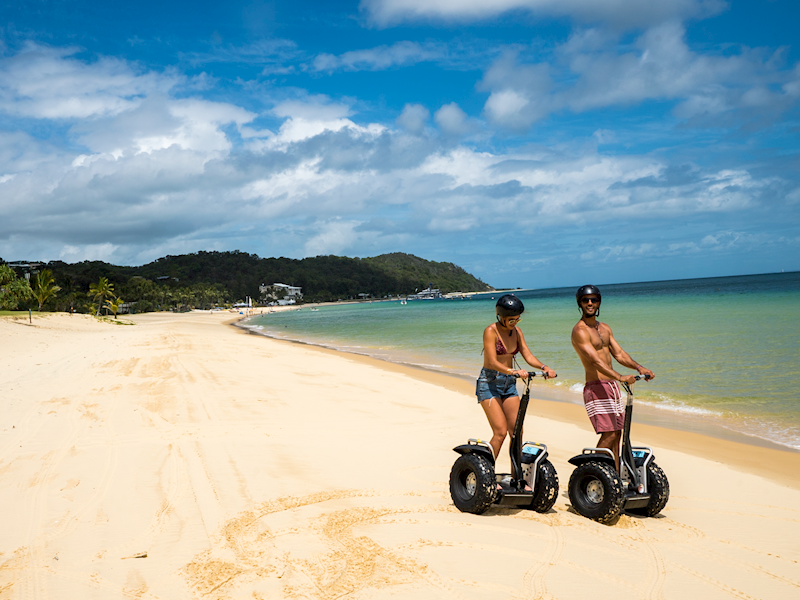 Jump on the ATV Quad Bike Tour and choose a tandem quad and your and your partner will be holding on to each other tightly during a fun filled bumpy ride through the bush around Moreton Island! 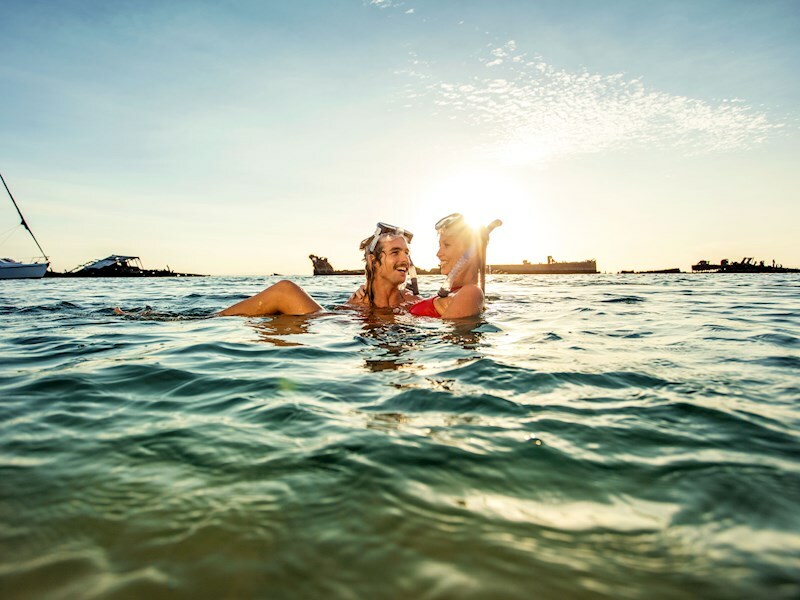 If the tandem quad bikes are a bit too quick for your relaxing weekend away then try hiring out a double kayak from Tangalooma Watersports to cruise around the wrecks at your own pace - the perfect opportunity for you and your other half to enjoy the relaxing sun and sea. 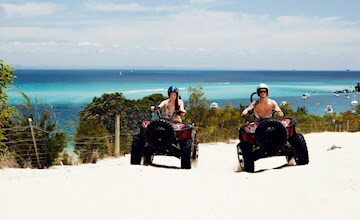 Hold on tight as you experience the thrill of riding on an ATV quad bike along the beach and through the bushland at Tangalooma. Our professional guides will assist you through the tour, regardless of your experience. Looking for a little more adrenaline with your partner? Get high with a parasailing adventure! 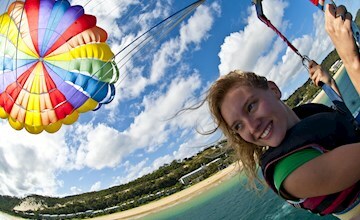 Our expert parasailing team will fly you high above the shorelines of Tangalooma. 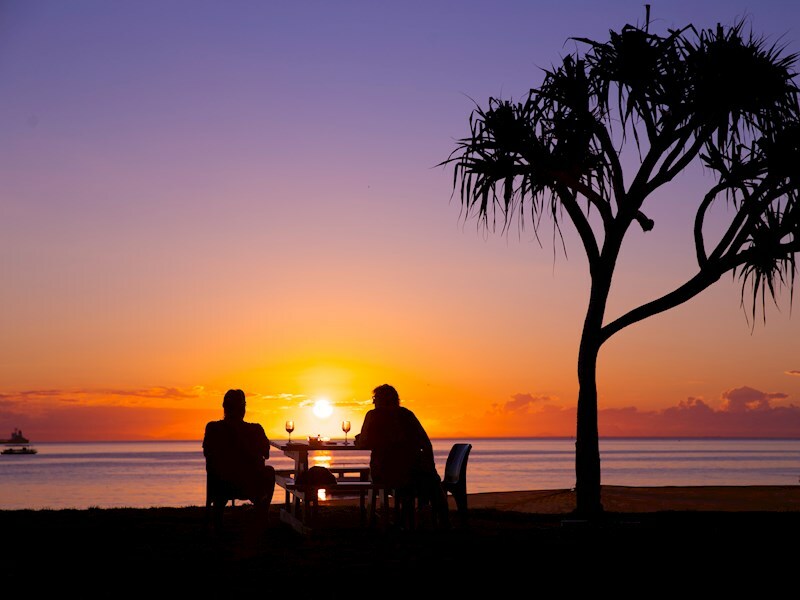 Tangalooma is one of the only places on the east coast of Australia that gives you the opportunity to watch uninterrupted evening sunsets over Moreton Bay, so kick back and relax with a glass of wine, and your loved one, while watching the sun go down. 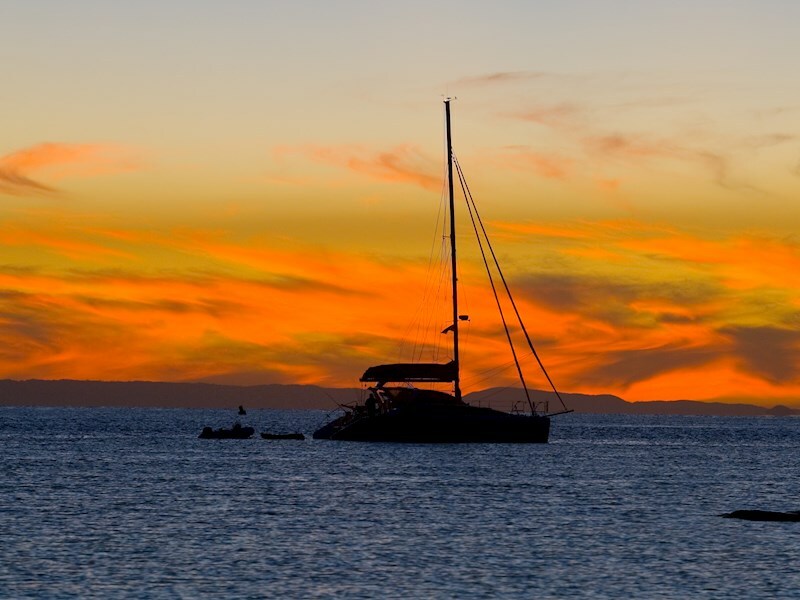 If you want a truly magical experience make sure you book your seat on the evening Sunset Cruise, a trip out onto Moreton Bay that includes snacks, wine, music and commentary - all while soaking up the early evening sunsets. 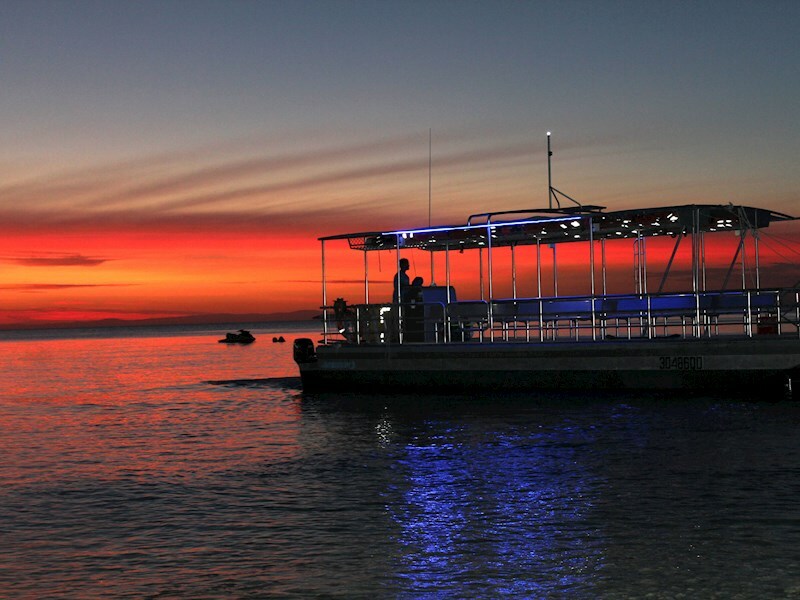 Top off the evening with nightly Wild Dolphin Feeding for a night you and your partner won't forget.